To tell you that 2018 has been the worse year of my life sounds almost like an understatement. Things can always get worse, and in Venezuela it certainly seems so, but 19 years of love, my moderate belongings, my hopes for a stable future, all that went down the drain. Chavismo has a way to turn things into myth even though they have not happened yet. They even do so unaware. The latest is what will happen on January 10. Technically, and constitutionally, it is very simple. Maduro "reelection" last May not having been made according to form is not legal. In addition he must be sworn in by the National Assembly on that date for his next term to be legal. Let's pass on all the past technicalities that make Maduro an illegal president all the way to the death of Chavez. Let's just focus on that January 10 dead line. Never has it been so long between two posts. More than a month! Who knows whether I have readers left. Writing about Venezuela is sort of senseless anyway. But really, a recurrent mention in this blog will be no more. My S.O. has passed last week after a long and painful cancer. November was awful. The search for a new meaning has started. Maybe getting back to blogging may bring some solace. We'll see. Goodbye Ivan, thanks for 19 wonderful years, and the most happiness I had in my life. Until the very end we still managed to laugh a little bit, the secret of long lasting relationships. And thank you for all the meaningful details you found for us in this blog over the years. The overbearing feeling these days is not quite palpable. We can suffer inflation, we can endure robberies, we can see our lights go away, we can drain the last drop of water in our pipes. But there is one thing we cannot do anything about, that feeling of emptiness that we all live in Venezuela. 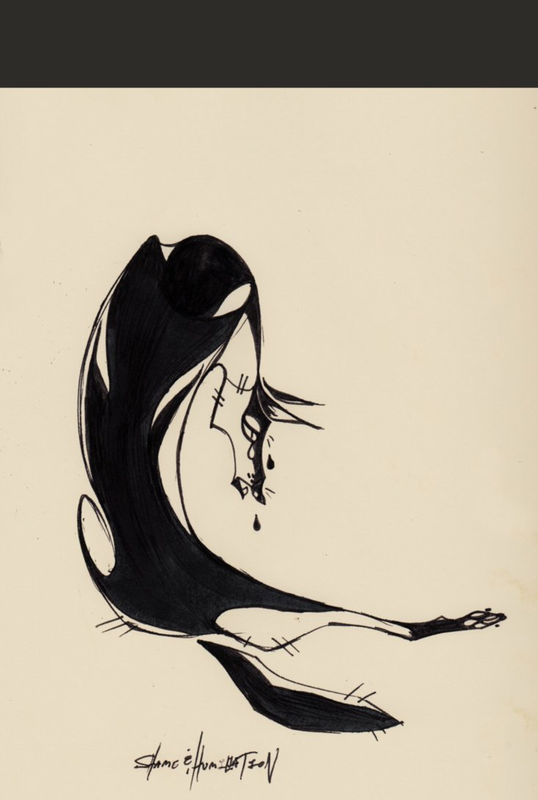 I have been wondering a lot about why I am feeling emptier as days go. Not lonely. Not quite isolated. Not lost. Not bored. Just empty. As I was expecting the decree about the new minimum wage was officially published today when it should have been published last week, at the latest. This way no one could make adequate preparation and many lost their jobs, many a store closed. And as I am typing it is not clear yet whether and how will the regime effectively subsidize the bulk of the new wages for 3 months. But if you thought that going 35 times up minimal wage and hence putting the whole country on minimal wage was not bad enough, we got a few more choice items for you. There is no need to go into details of the latest measures of Maduro. Their objective is simple: take over the private sector without using the N word. That is, we make them go bankrupt so they give themselves to the regime without having to go through tedious nationalizations. Il suffisait d'y penser. You need, truly need, to understand this clearly to avoid any confusion. Now that all objective observers have concluded that this is a military narco kleptocracy, what are we going to do about it? This is keeping many people awake at night, but not enough of them. Andres Oppenheimer writes today a piece that underlines that dealing in Venezuela is an urgent matter, that times works in favor of Maduro. He makes fair points and space limit probably did not allow him to develop. But that is where blogs come in handy. One tries to take a couple days off for a "procedure" and one comes back to yet a new spectacle of the absurd. This will be short and sweet. It may be a couple of days before I can post again. *the lowest electoral participation in a presidential election in 30 years, the lowest one was 56% in 2000. Note: as far as I know all previous presidential elections since 1958 have been above 56%. Venezuelan "democracy" at its worst showing. *Falcon and Bertucci are not going to recognize the result, discovering suddenly that there was fraud. Oh well.... Where should I start? I used to have an election day post when there was some surprise to be expected, when I bothered in going around taking picture of voting centers, etc. Now the international press covers all of that and my pen is not needed anymore. And twitter does a good job covering everything, be it from that German De Linke representative Simone Barrientos saying that the election today is wonderful, that people are voting with enthusiasm, to the pictures of empty voting stations. So, how should we read the day? I was not planning on writing today. But three tweets sort of forced me to do so. They are telling, among so many tweets these days, that we are turning a page, that Maduro with his beyond expected victory tomorrow is in fact is merely closing a cycle. Again, not that it matters to most readers or to the regime. But I thought that I should give a reasoned account on why I am not voting. The simple reason is that the system is so screwed up that voting or not makes no difference. It is not that I am still registered in San Felipe though now forced to live in Caracas and too lazy to drive. Even if I were back in San Felipe I would not vote. What legacy will Henri Falcon's stunt leave us? His ulterior motives at this point are of little interest. Many a speculation swirls, from him being Raul Castro choice to do the transition government, to him being an overambitious military a la Chavez. First, his bid was born outside of the opposition electoral alliance MUD. His argument that there was no time to run a primary falls short. He could have sent an ultimatum to the MUD as to whether they decided to run and name a candidate or he would run anyway. Instead he registered discretely almost at the end of the registration period. The Venezuelan opposition: what went wrong? About one year ago in between tear gasses outings I thought that maybe the Maduro dictatorship was in its last throes, that the opposition in Venezuela was going to prevail. Today Maduro is coasting to reelection, fraud and all, with only the meekest of protest at home, around lack of food and medicine. The louder protest comes from overseas. How can one explain such a stupendous change of fortunes? Hint: it is not due only to military repression. The title is a French expressions that loosely mean "thinking that I/they am/are idiots" but way stronger. Sorry, but tonight I cannot find the English words to qualify the campaigns of Maduro and Falcon, both campaigns abusing of the misery of the people and thinking that we shall not notice. In all truth, I suppose, neither one is managing to rouse passions, so they need to resort to outright distribution of whatever is at hand so at least some people will attend their rallies. Two tweets from today. First Maduro having his henchmen throwing food at people. At @NicolasMaduro campaign rallies to make people attend there are free distribution of food. And then the Falcon campaign, poorer by far but surprisingly (?) better funded than expected. He had his own henchmen throwing banknotes at people like confetti. In truth the banknotes thrown are not worth much more than confetti, each one worth, say, 1/6.000 of a fully fledged good greenback. Yes, that is right, the 100 banknote is forth less than 1/60th of a penny. No wonder people gathered them but there was less enthusiasm than for the food air throwing of food. What we are seeing flying are at best 100-200 hundred dollars. Both only bring in me utter contempt for them, both chavista thinking so lowly of their followers. Juts herded cattle for them, just good enough to play the pantomime of an election. Well, one is an ex-chavista but the brain damage was done in him. I guess I need to write about the electoral campaign. Years ago this blog was flooded with entries on candidates, polls, statistics and predictions more accurate than wrong. But now the voting system is utterly rigged and for all that we know the percentile difference between Maduro and Falcon is already a given. Maduro will win by AT LEAST 15%. The only question is whether he will dare to have a higher percentile than Chavez top in 2006. My guess is that he will not resist the temptation. Speaking of entries on candidates. It is a sad spectacle to see how burned Falcon is. Oh!, not a surprise at all, but really, the guy has been found out and yet he persists in pretending that he is fooling us, that his defeat will be because of the opposition abstention, etc, etc, but never any self awareness that actually people cannot vote for him. Period. This week there are only two news worthy commenting on Venezuela. The campaign itself is not worth a comment, though the first bit is more than campaign related. Andres Oppenheimer is a long established and respect journalist/Op-Ed writer at the Miami Herald. When he speaks about Latin America his batting average is, well, let's say 90%. I am not measuring details here, but the general flow of politics in Latin America. One of his rare misses is chavismo in its earlier days. He was not fooled but he was among those who expected that the usages of power and administration would tame Chavez enough to avoid an utter mess and eventually have him leave power by reasonable means. He has made more than amends since that, become one of the first true coherent critics of Chavez. But today, at least on Venezuela, he hit a home run. Do read that piece which is going to explain better what is going in Venezuela right now than, well, at least 90% of the other ones you may come across. 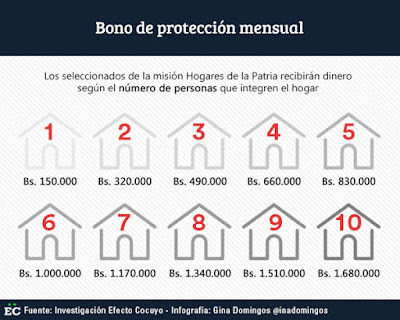 For workers days Maduro has decided to double the minimum income. Nobody is happy. With the new total income and benefits you buy 4 pounds of chicken a month. What the story does not say is that such a brutal minimum wage increase will be propagated through pay scales and as such employer charges will reach levels unsustainable for those small business still alive. More shops closing at your friendly nearby mall. Thus ignoring that 1 Bolivar of 1998 is equal to 1.000.000 Bolivar of June 2018 let's see if there is something else worth talking about. Worthy of discourse are lack of food and medicine and hospitals and security and cash and... but nobody really cares. Except those protesting that are swiftly repressed while state TV says we are in the best of all possible worlds. No point discussing that again, I guess. But we do not where, nor do we/I care much, to tell you the truth. Yes, it is time for a quickie survey on how close to the abyss we stand. I shall be brief. Promise. Chavismo is trying to make the coronation of Maduro palatable. Last post was hard to write, and the whirlwind of political news too hard to write about comprehensively. Thankfully procrastination does pay and today's picture from the UN plaza in NYC was worth the wait. An epic photo-fail if ever. and probably aiming himself for some crumbs somewhere as no one in the MUD would be caught dead with him. In this historic pose you can see how Henri Falcon sunk any chance he may have had to be elected president next May 20. 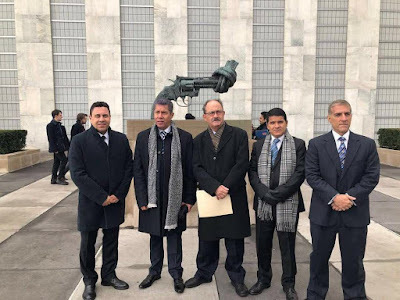 By posing in front of the United Nations accompanied by the ambassador of Venezuela there, the much reviled and insufferable Samuel Moncada, Henri Falcon admits that his presidential candidature is wanted by the regime, and that he is in agreement with it. That is, Henri Falcon and the scattered losers that support him are complicit with the regime in the fraudulent elections coming May 20. 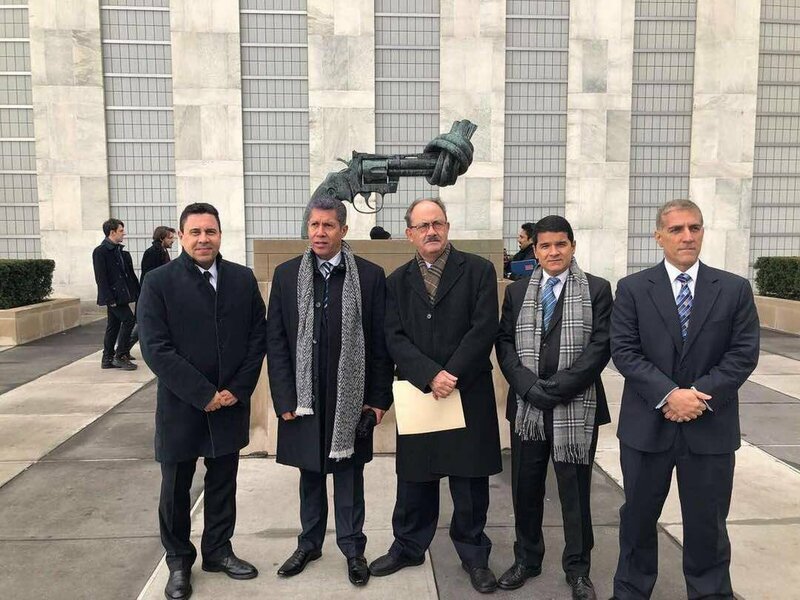 These people had the chutzpah to try to get a meeting with high members of the UN so as to force this one to send an observation team to validate the election of May 20. That a serious observation requires at the very least 3 months of observation and more before for mere preparation is not computing with them. Then again whoever low key UN member that received them ("the UN is under obligation to help Venezuela" was said by the traveling show) had probably already read that. There are some damage controls that are beyond reach. A picture is indeed worth a thousand words. The world is starting to notice how Venezuela is collapsing. What did the trick is the flow of refugees crossing the borders, travelling by bus all the way to Argentina, drowning in front of Curazao, or simply picking up their one way ticket at the airport. There are so many reasons to leave the country and yet the one that I growing is our daily humiliations, something that is, no doubt, a welcome side effect for the regime. Like any totalitarian system, the more so if tutored by Cuba, one way to control people is to humiliate them so they get grateful when the level of humiliation relents. Leaving because you are hungry, or your health is threatened, or because you know that you are in the list for an upcoming middle of the night arrest is a clear decision. Leaving because you are humiliated is not a clear decision. Leaving because you are humiliated is what the dictator wants. When you leave your country because you cannot endure humiliation anymore becomes your own acknowledgement of failure. You lost, the dictator won. For the dictator it is the sweeter because the memories of your humiliation may haunt you forever and bar you from returning home, not wanting to walk where so many perceived personal failings will taunt you back. I live daily such small failures, mine or the ones I see. Three things happened today that tells us something is brewing inside chavismo. My important/favorite is defense minister Padrino announcing that he is against armed colectivos. You know, those colectivos which are nothing else but paramilitary thugs wearing red shirts and working for the regime. Chavismo version of storm troopers. 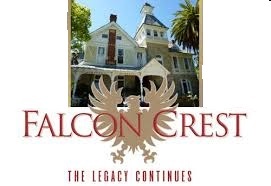 Falcon Crest? Millennium Falcon? The Maltese one? Good news guys, the inscription for presidential election is over, we know all the names. They are all chavistas. 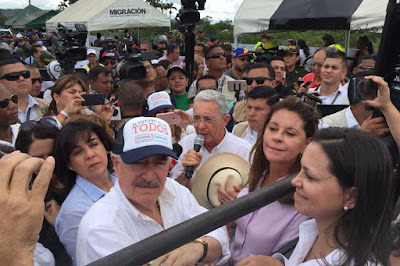 Even if the propaganda network TeleSur says without blushing that the opposition has registered ITS candidate under the name of Henri Falcon. This is the real reason, the only reason that in the end will push for an intervention. And if nothing is done it may turn out to be the worst humanitarian crisis in the Western Hemisphere since La Conquista. Two weeks without a post. Things have been difficult here. Never mind that by the time you feel like writing on something there is right there a new sound blast from the least expected corner. So, a brief pick of the telling headlines will have to do. And not necessarily in chronological order as my tired mind has trouble keeping track of all that happens. I was directed to a string of tweets you posted earlier on today. They are below next. As expected the "dialogue" between the narco dictatorship and the civil opposition went nowhere. Yesterday the chair, Dominican Republic president, said euphemistically that talks were adjourned for the time being, letting ooze slightly his disappointment at not having been able to help the regime get what it so sorely wanted. On the other hand the chosen mediator of the regime, former Spanish premier Zapatero, could not hide its bitterness at his failures, and revealed his profound bias by threatening the opposition for not signing down. 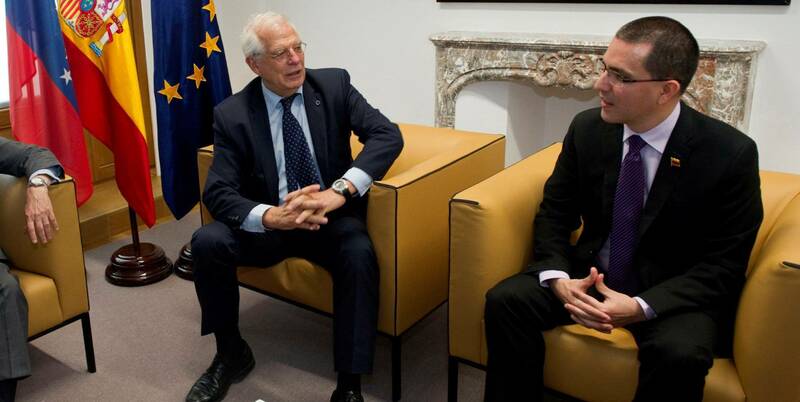 At least we gained something, Zapatero is now out of any negotiation after his words yesterday. So we wake up this morning with another political arrest in the middle of the night. This video is self explanatory.